Tokyo, Japan (June 10, 2014) — Toyota will exhibit a booth dedicated exclusively to the "Camatte"1, a customizable, sporty, family-oriented concept, at the International Tokyo Toy Show 20142. The Camatte concept, which was originally shown at the 2012 International Tokyo Toy Show, conveys the appeal of cars to current and future drivers alike by enabling parents and children to share the joy of driving and customizing. 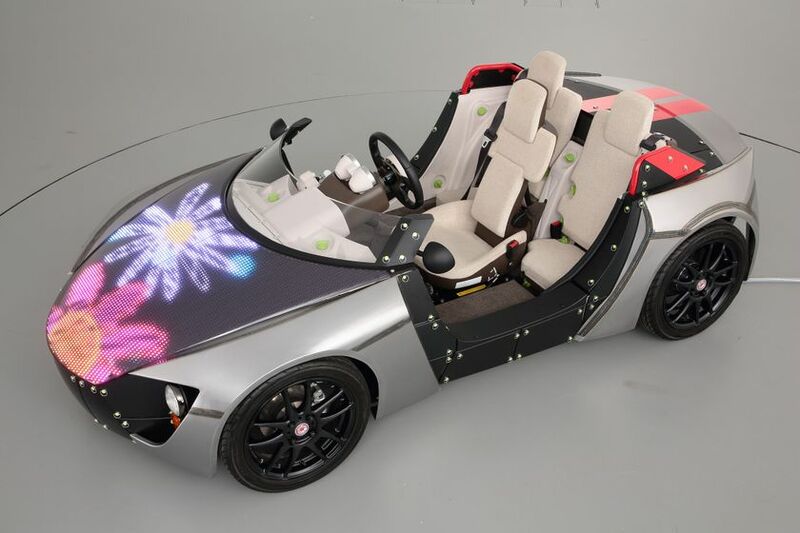 Toyota's booth, called the Camatte Lab, is divided into two zones: a Tech Lab that lets visitors get an up-close look at the inner workings of the car, and a hands-on Design Lab that allows visitors to easily customize a Camatte. 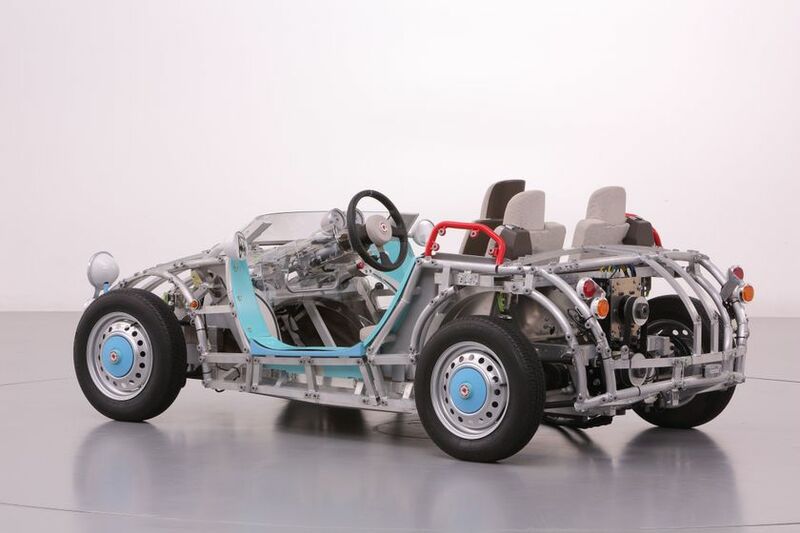 A "Camatte57s"3 will be displayed without its body panels, to allow viewing of the steering gear and differential gear box. Visitors can easily see the internal parts moving when the steering wheel and accelerator are operated, making it easy to understand how these parts work. A “Camatte57s Sport”3 will be displayed with LEDs on the hood. Visitors can customize the vehicle by displaying their own digital drawings on the LEDs. 1The name Camatte is based on the Japanese word for caring and is meant to signify "caring for others" and "caring for cars". 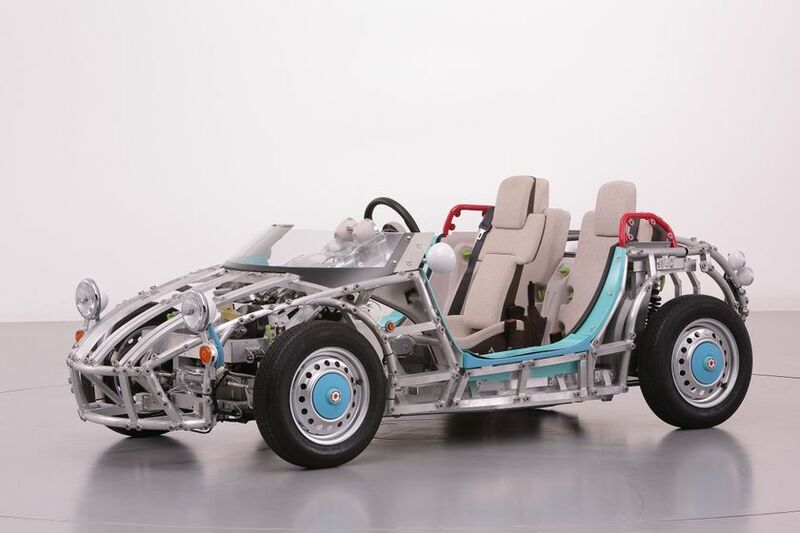 3The Camatte57s and Camatte57s Sport concepts were first displayed at the Tokyo Toy Show 2013.